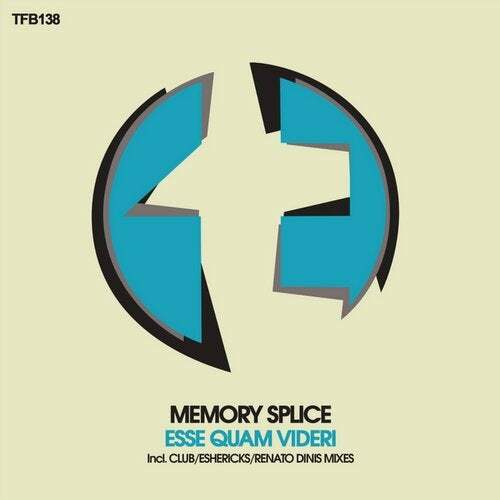 TFB Records presents its 138th release, "Esse Quam Videri' by Memory Splice. It includes remixes by Eshericks, Renato Dinis and the original producer Memory Splice with a 'Club mix'. First remix is by "breaks guru" Eshericks, and what we find is a very complex song with huge influences from the wildest electro and the purest breakbeats. It is so hard to place this song into a specific genre because it pulls from so many different styles within its beats and sounds. We will define it simply as a gorgeous HUGE track, perfect for breaking the dancefloor; with a strong bass line and a wild melody. The rest is brought by a massive progression and some big room elements which get the party started for sure. The bigger the stage, the better for this song! Congratulations to Eshericks for this huge remix. The club mix is a different perspective from the riginal producer; Memory Splice focused this remix into a darker psytrance influenced sound, and enters the realm of hard trance. But the character of the melody will shock us with its intricacy, releasing a a lilting magic. This melody, indeed, will overtake the bass line to become the center point of the song; and when the big drop comes, it will shine like the stars and moon. We find again a very complex sophisticated track, where different styles gather to create a stunning original sound, achieved by the producer, which for sure will rock the biggest dancefloors. Amazing mix by Memory Splice! Finally we will find the remix done by Renato Dinis, who has lockdown on fully uplifting techtrance sound on his remix, adding some tension and a magnificent acid line emphasis to the powerful bass line. Great changes enhance the track as it leads us into the breakdown. In this break, magic and technology combine musically and seamlessly to create an uplift of an untold quality. Prepare yourself for this huge release of power; pure techlifting right to your mind. Gorgeous remix by Renato Dinis!